YouTube can be a daunting sea to wade through. There are tons of creators on the platform putting out quality content, and there's always the possibility you're missing out on a channel you might enjoy. Today I'm going to give you some of my top favorite YouTube channels. Hopefully you'll find a new channel to watch! I used to only watch YouTube on my desktop computer. Now I use my PlayStation 4 for that, and in doing so I have come to see YouTube as a great video service like Netflix and Hulu. It's not all just people recording themselves with their phones or vine compilations (not that there's anything wrong with that!) Some channels clearly put forth a ton of effort in making their videos, and the list you're about to read is full of nice folks who do just that. Please check these channels out. I know you won't be disappointed. Especially if you're here on my site. Because you're obviously into the same stuff as I am. So let's begin! Watch Videos from Game Sack! Game Sack is a predominately retro gaming channel hosted by "the Sega guy" (Joe) and "the Nintendo guy" (Dave). It's all played up for laughs though because they have a love for great games no matter which platform they're on. 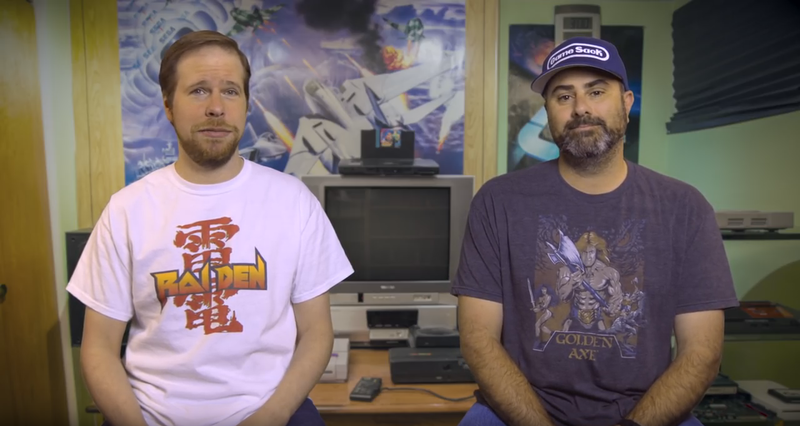 These two are incredibly knowledgeable about gaming, and the production values and editing in their videos is absolutely insane. They just recently changed up their intro to an incredible stop motion sequence! Game Sack videos are full of fascinating information, lots of gameplay, and a wide variety of game music. Game Sack will go further into explaining games and consoles than I have ever seen a channel do. Many times Joe will go into the specifics about the inner workings of a console, even going as far as creating stop motion disassembly sequences that are always fun to watch. I guarantee you will find a topic you're interested in on Game Sack's channel, and when you do, you'll be hooked. Highly, highly recommend this channel. 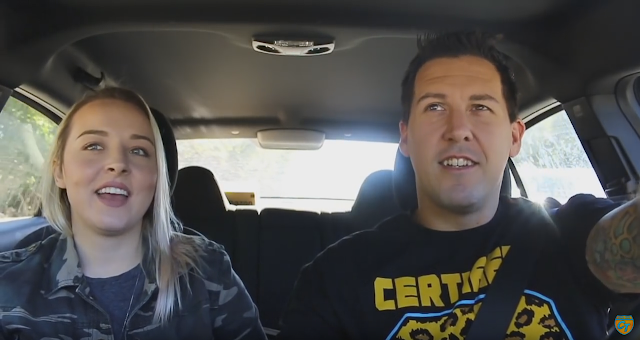 Watch Videos from Comic Trips! Comic Trips follows hosts Paul and Kat as they visit comic shops and conventions on a quest to find treasure from their childhood. To say that these two are incredibly likable and sweet people would be an understatement. They are very responsive to fans and have cultivated a community around their videos the likes of which I have never seen before. They seem very approachable and friendly, and even though I've never met them, I feel like I know them and they're my friends. I would love to meet them, more than any other people on this list. Sadly, living in Southern Illinois, I don't think our paths will ever cross. An example of how big their hearts are: Over the summer I was going through a terrible time and I told them in the comments of one of their videos that their channel was an escape for me. I wanted them to know that their channel was helping me get through the days. Kat reached out and gave me some words of encouragement, and finished up with "Hugs from us to you!!" I can't say enough kind things about these folks. Their channel is also responsible for getting me back into comics. Up until I started watching Comic Trips, I was pretty much done with comics. I had no interest in them anymore. I had even purged my collection of everything except a few short boxes of Spider-Man stuff. Seeing these two get excited about going through boxes and hitting up shops lit the fire in me again. Watch Videos from Happy Console Gamer! Happy Console Gamer's channel deals with games both old and new. He will also talk about other topics he's interested in such as anime and vinyl. I discovered his channel when I saw his video where he was going through comics he had as a kid. Not even one of his gaming videos! Seeing his enthusiasm made me feel happy, enough so that I left a comment on the video telling him how his video made me feel and that I was jealous he got to meet Todd McFarlane. He definitely lives up to his name as being "happy." He's the inverse of someone a little further down on this list who I'm certain you've heard of. He always leaves you feeling happy and he has such a positive energy that really comes through his videos. One of my favorite channels. I would love to sit down with him and just talk about old games and share memories. JonTron has made me laugh more than any other YouTuber. His videos consistently make me crack up, and some of them have made me laugh so hard I couldn't breathe. His channel used to be centered around gaming, but he has since branched out and created more varied content with highly successful results. Say what you will about the man, but his videos have brought me so much joy. 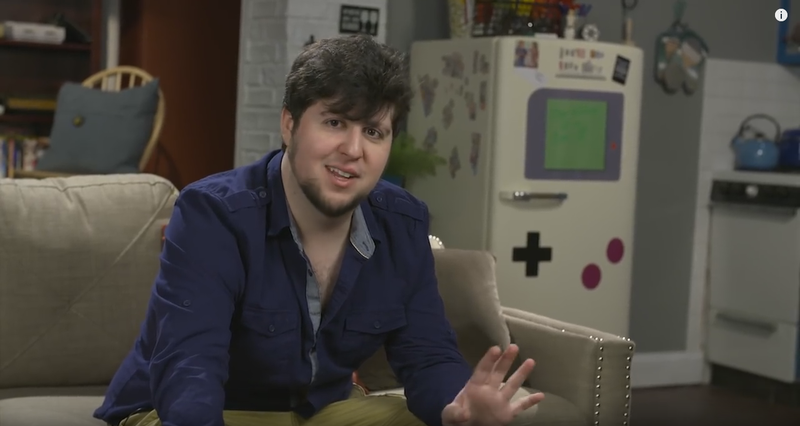 If you are curious about good JonTron videos to start with, you honestly can't go wrong with any of them. One of them that had me laughing so hard I couldn't breathe was his Goosebumps Part 1 video. It still gets me to this day. 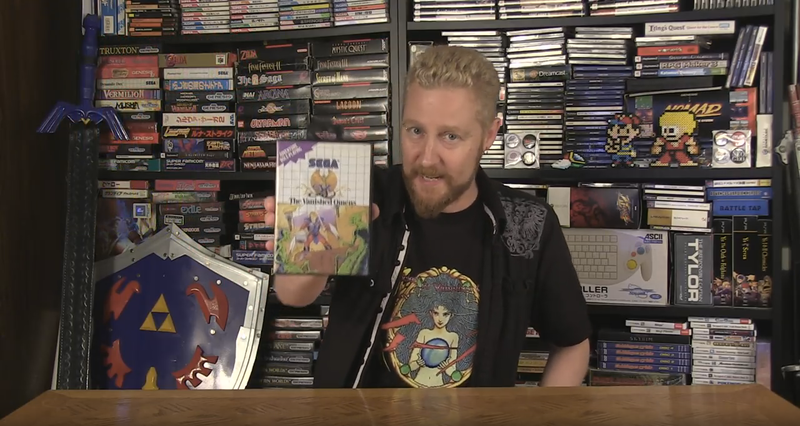 Watch Videos from Classic Gaming Quarterly! Classic Gaming Quarterly is a channel I discovered a few months ago. I don't recall what led me to the channel, but the first videos of his I watched were of the host Chris going though classic gaming magazines page by page and talking about them. It sounds very boring, but let me tell you, I was hooked immediately. You can see him holding an issue of GamePro up there in the image I grabbed. That was the first issue of GamePro I ever got. There are many other videos that aren't going through old game magazines, too. Chris has many extremely informative and well-produced videos about console launches. His most recent video was an hour long video about the Super Nintendo in 1991. 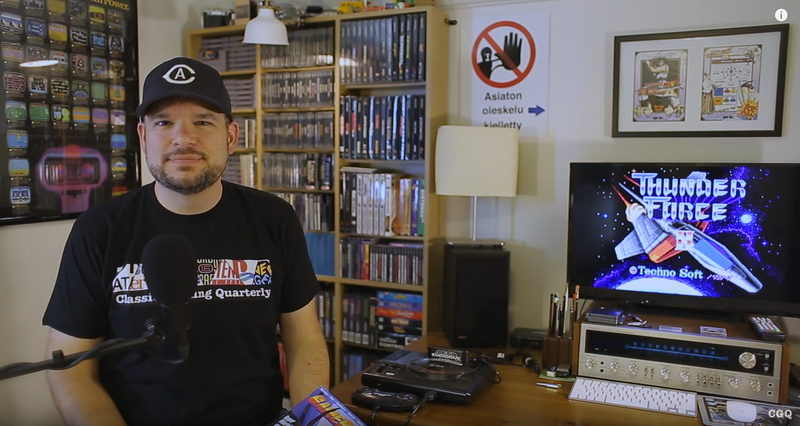 It is a fantastic video and par for the course when it comes to Classic Gaming Quarterly. Every video of his is super high quality. Watch Videos from the Angry Video Game Nerd! 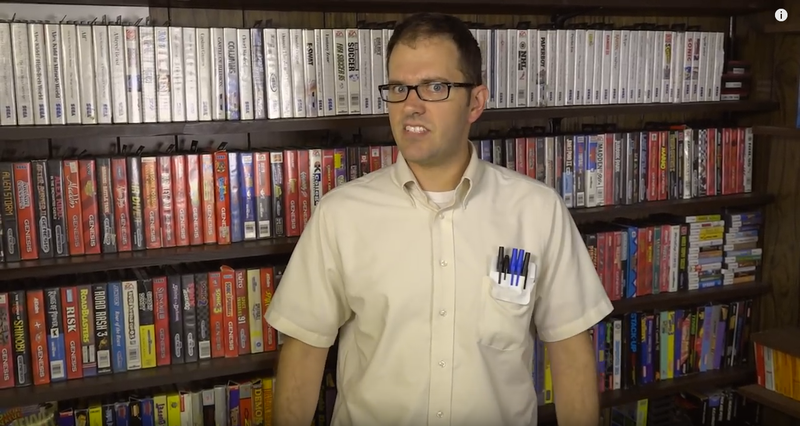 At this point, who doesn't know the Angry Video Game Nerd? I went the longest time without checking out his stuff because the concept didn't resonate with me. One night I decided to watch one of his newer videos and for whatever reason it finally clicked with me and I then watched every single one of his Nerd videos. There is clearly a ton of work that goes into these videos, and when I saw James not playing the Nerd and instead being himself, I saw how thoughtful and creative he really is. Because you have to remember: The Nerd is just a character he plays. Some people take what the Nerd says as gospel, but he's clearly exaggerating his reactions and opinions. The channel isn't exclusively the Angry Video Game Nerd. James also has extremely informative videos on movies that I also enjoy. I watched a lot of his videos about classic Universal monster movies around Halloween. Watch Videos from Variant Comics! 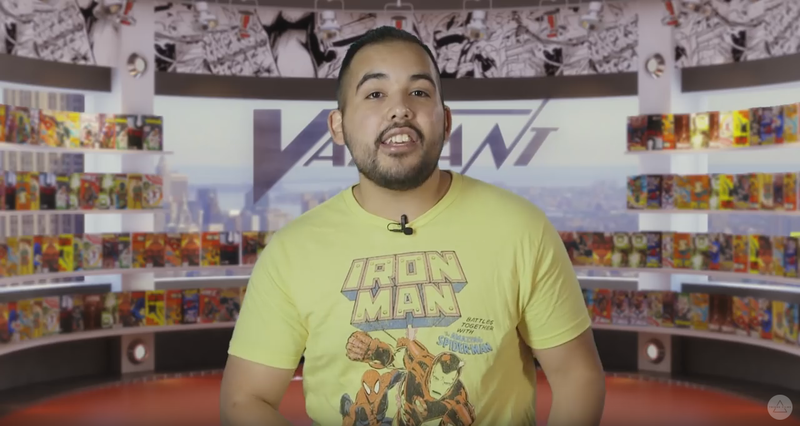 Variant Comics serves up a great amount of information regarding comic books and comic book characters in a short amount of time. If you ever wanted to know about the history of, say... X-23, there's probably a Variant Comics video about that very topic. They're easy videos to binge watch because each video is usually between five to ten minutes. And those are some of my favorite YouTube channels! I hope you check them out and subscribe to them because they're all a great time.